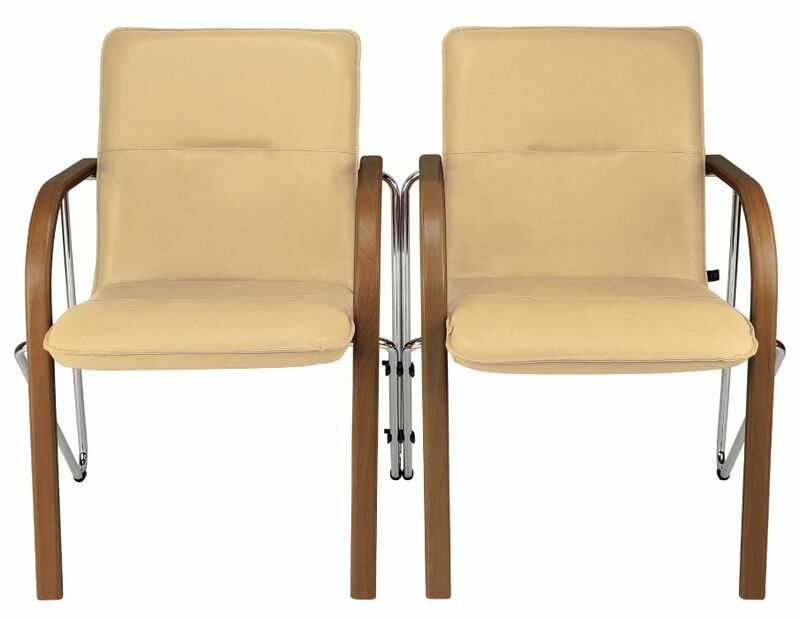 These unique chairs have been designed for comfort in a busy hospitality environment. The wood shell comes in lots of wood finishes as well as other fabric and leather options. 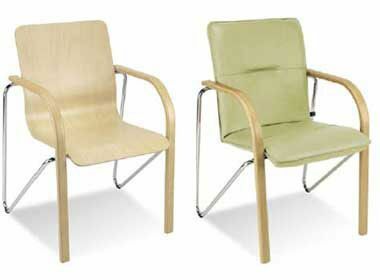 Chrome or Aluminium frame, and armrests in wood finishes. 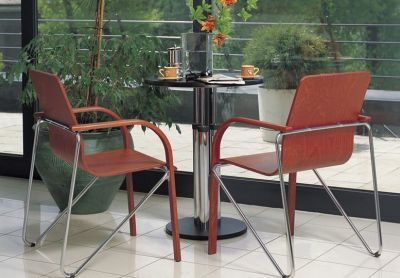 Sleek and professional design with the option of joining each chair using plastic covers on the legs. 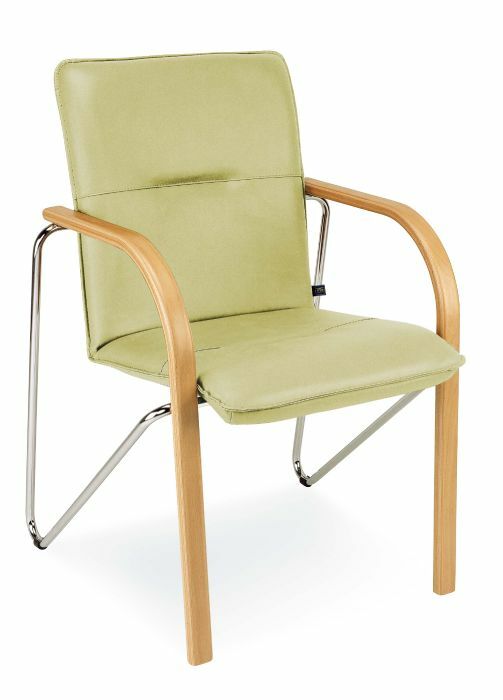 Includes a shaped plywood seat upholstered in fine leather options. Padded for extra comfort. This item is made to order with a lead time of approximately four weeks from order.